Do you want the best wholesale church suits for women? Do you need high-quality and elegant suits at a fair price? If yes, our online store prides itself for bringing best quality church suits for women. Being a fashion leader, our online store offers the best variety of women products, especially church suits. What Are Womens Church Suits? Womens church suit is a special kind of clothing which is worn at the time of visiting a church. When you visit a church, it is important to dress in a way that reflects the morals of the church. While standards for what to wear at church have changed, women should try to wear the best clothing when attending a church service. Instead of wearing anything casual, it is best to wear a woman church suit as they are stylish, classy and elegant. We Ship Fashions is the center of high-end and sophisticated church suits for women. Our store offers top quality apparel meeting with the latest fashion trends. 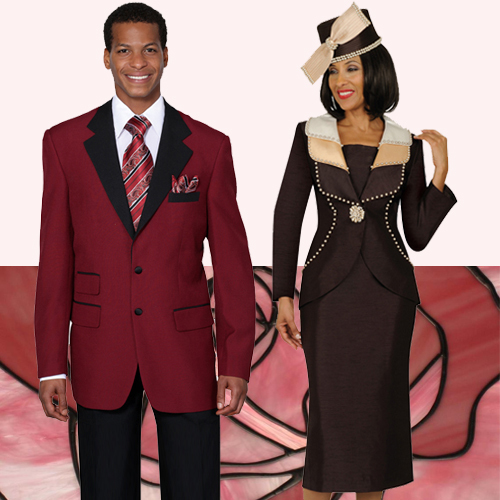 Having fully lined womens church suits, we offer our customers the best price in the whole market. For many years, We Ship Fashions has been the market leader in providing womens church suits as per the needs of the clients. The luxurious collection of womens church suits filled with style and elegance makes the We Ship Fashion best in the market. Our store offers a wide variety of designer church suits for women including summer church suits for women, spring church suits, affordable Giovanna women’s church suits, Devine sport church suits and closeout church suits etc. The latest collection of the womens church suits followed by versatility and uniqueness makes it one of the most prominent brands. Why Choose We Ship Fashions for Women Wholesale Church Suits? A wide variety of features and aspects make We Ship Fashions different than its competitors in the market. These features include uniqueness and versatility, affordable pricing and customer satisfaction. All of our womens church suits have been designed and lined as peer the highest standards. Our distinct dress designs with unique and versatile options make our womens church suits different from other brands. Womens church suits of our online store maintain the promising quality and best standard. The marvelous range of a diverse variety of women wholesale church suits makes us the ultimate choice for all customers. We Ship Fashions company provides exclusively affordable prices for all of its womens church suits. We ship the best apparel at the lowest possible prices in the market. Customer satisfaction is our ultimate and fundamental business objective which we focus on. Our goal is 100% customer satisfaction. In addition to that, we strive to make customers happy to make their shopping experience memorable. For the best experience of buying wholesale church suit for women, We Ship Fashion is the ultimate shopping destination. Our offerings and unique features make our store the first preference of all customers.